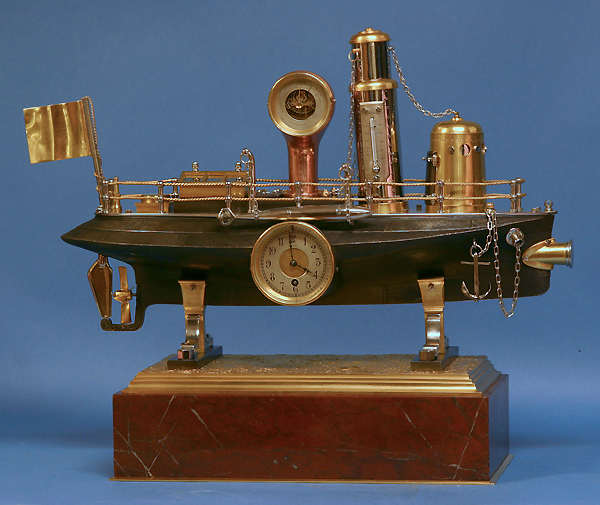 A rare late-Victorian animated gilt, coppered, silvered and patinated bronze torpedo boat clock. 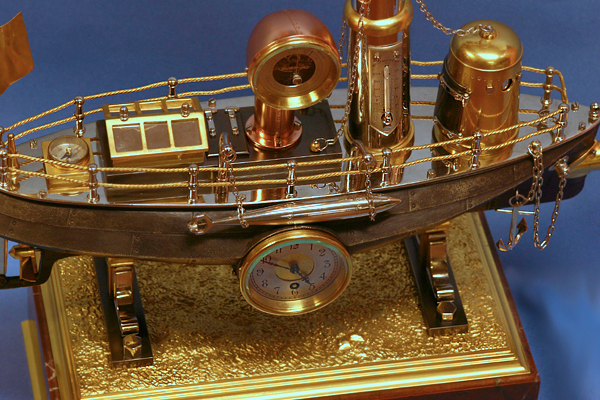 It has a long, sleek patinated hull textured to simulate an iron clad surface, two stacks that carry the barometer and thermometer, a gun turret, access panels, gun ports and an anchor and spare torpedo hanging off the front. 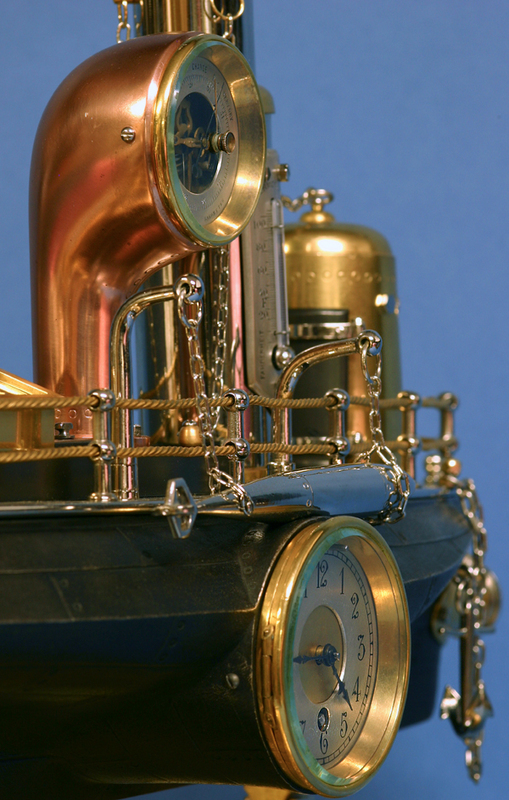 The torpedo tube is mounted to the bow while the rudder and prop are at the stern. 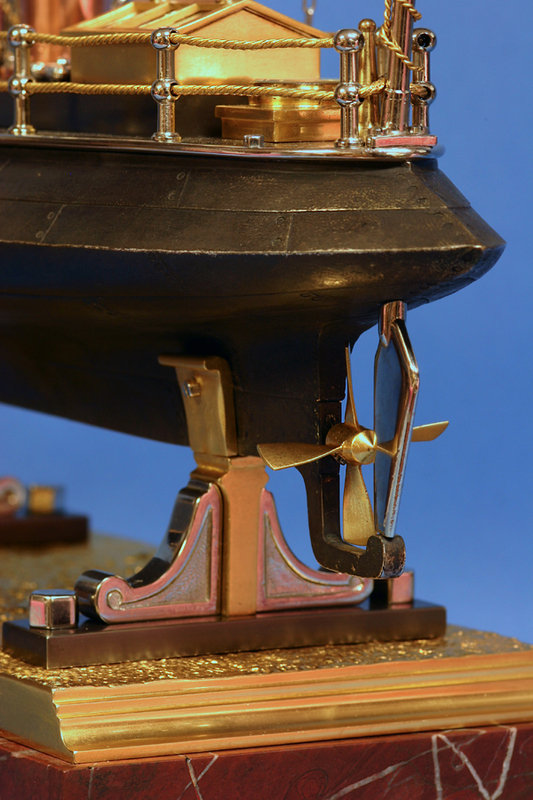 The red marble base supports a gilt-bronze textured surface and the hull rests on two shaped decorative brackets.